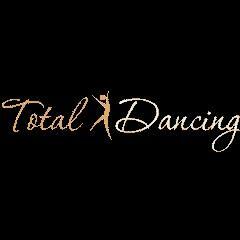 Dance Classes, Lessons, Events & Courses for Total Dancing. Ballroom, Latin, Salsa and Swing Dance Classes in Swansea, Bridgend, Cardiff and Beyond. All levels from beginner to advanced are welcome. No partner required and regularly held social events. Event Organiser, DJ & Disco, Private Coaching, Dance Studio/School, Regular Dance Classes, Choreographer, Shows and Concerts, Dance Company, Instructional Web Services, Performances, Photography, Corporate Entertainment, Workshops, Blog, Photographer. Dance Styles: Modern Ballroom, Latin American, Salsa Dance, Classical Sequence, Waltz, West Coast Swing, Cha-Cha, Foxtrot, Quickstep, Lindy Hop, Ballroom, Salsa (Cuban), Jive, Bachata, Charleston. All Entries for Bambu Beach Bar Venue. Salsa, Salsa (Cuban) Instruction, Practice, . Contact organiser for times and further details. The only place which runs dedicated latin dance classes and social dancing every Sunday night; a great way meet new people, have some fun and to end the week! With the ideal venue, it's the perfect place to go to with a vibrant atmosphere whether you are a complete beginner looking to dance Salsa for the first time or whether you are a more experienced dancer looking for somewhere to hone your skills with others on the dance floor!